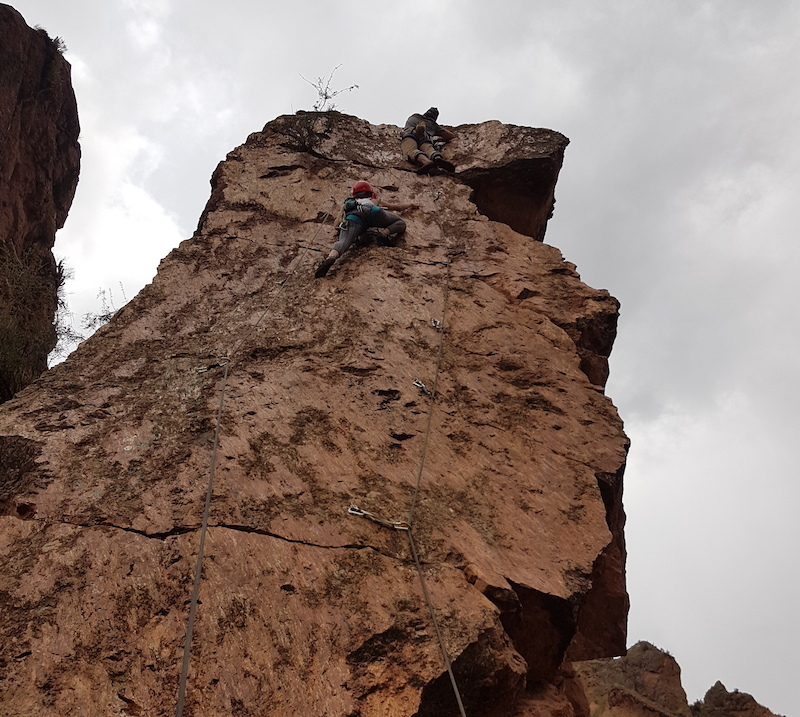 Bolivia isn’t really know for its rock climbing, and when compared to its close by neighbors, it doesn’t have a huge amount of climbing to offer. However there are pockets of crags to be found around the country, and many times close to the main “tourist” areas. This means that you could easily fit some climbing into your already planned itinerary. I’m not saying don’t come to Bolivia for the climbing, the country has a lot to offer, especially in terms of alpine climbing. However, Bolivia does lack what I would call a “World Class” destination to draw huge numbers of climbers. For that I would look to Chile or Argentina. Bolivia is unique compared to most other Latin American countries. 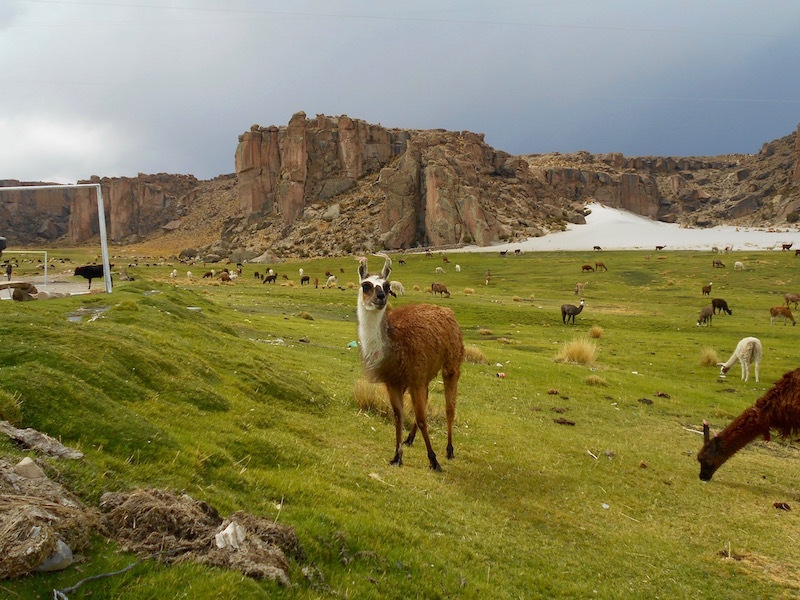 It is one of the least developed, and has an interested mix of Andean and Latin/Western culture. Bolivia is raw. The safety standards are far behind that that of Western countries which can make things as simple as taking a bus to another town an adventure. In my month spent in Bolivia I had some of my most stressful but also some of my most memorable and rewarding travel experiences. So if you have the time, I would suggest checking it out. May climbers who come to La Paz will be looking to the easily accessible alpine climbs to the East (which I highly suggest). But it is inevitable that you will have a few down days somewhere. For such occasions I suggest taking a look at Aranjuez. 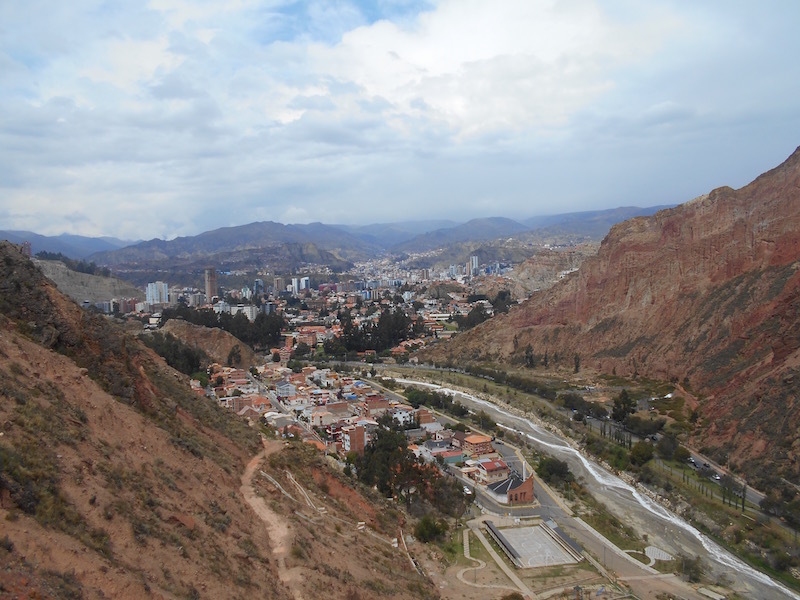 A little know fact about La Paz is that there is climbing within the city limits itself. Not only that, but by number of routes, it is the largest area in the country (which is only about 100 routes, don’t get too excited). The rock is pretty good quality conglomerate. The routes are generally slabby to vertical, and they are all property bolted. A topo for the climbing routes can be found here. A 60 meter rope with about 14 quickdraws will get you up every route. Many of the routes are shorter and only require 8-10 quickdraws to climb. My two favorite areas were the Galleta, and El Peñon. The Gelleta has longer, technical routes which I found difficult for the grades. True to conglomerate style, the climbs feel very Smith Rock-esk, lots of little nubs and pockets. El Peñon has much shorter and easier climbs. It is a good place if you want to get a high volume day in. The large boulder is also in a public park, meaning that there are good places to sit down and relax. Aranjuez is located within the city limits, so there are a lot of options to arrive. If you are coming from the downtown area, you have the option to take the Micro 11 bus, or minibuses 351, 231 or 273. Without traffic, the ride should take about 40 minutes. However this can easily double during peak hours. 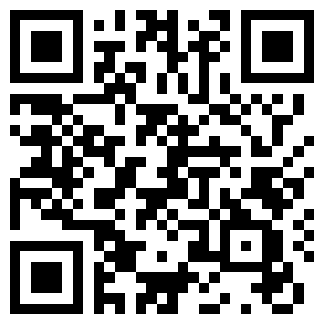 Tell the driver your going to Mallasa or Aranjuez. If you can’t be bothered with the public bus system, taking a cab isn’t a bad option, as it only costs between 2-3 USD. There are two main zones on opposite sides of the river. The largest sector is to the east of the main road and it is called “La Galleta”. The climbing is easily seen from the highway. The exact location of the Galleta can be found here. If you’re going to the West sector, (best for beginners, with areas luck as El Peñon), you’ll have to first cross the bridge here, which leads to the “Amor de Dios” neighborhood. 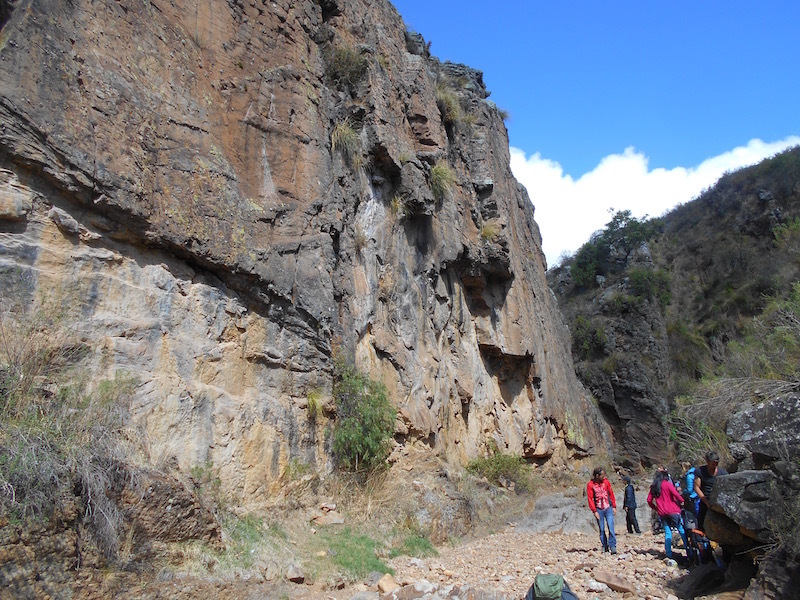 Walk for about 4 blocks south until you arrive at El Peñon, the first climbing area (exact location). On weekends it is likely that you will find other climbers here. The capital of Bolivia, Sucre is a very nice Colonial style town located in the middle of the country (about 12 hrs by bus from La Paz). The town is actually surrounded by numerous climbing areas, and due to the hard work of Carlos Vargas and other local climbers it has seen a lot of development over the past few years. It may now be the most developed area in Bolivia. Pretty much, if you want to climb in Sucre, you’ll have to talk to Carlos as he has all of the topos and more importantly, has agreements with the locals regarding land access. These areas can be slightly tricky to find, so you’re going to have to rely on him for beta. There are a few areas around Sucre, Sijcha Alegria, La Resbalosa or Garcilazo. The only area I got to check out was Sijcha Alegria, but I actually really enjoyed the climbing here. There is actually a surprising high concentration of climbs around the town, you could easy spend a few weeks exploring. On a side note, Sucre was my favorite town which I visited in Bolivia, so it’s not a bad place to post up for a while. Not to mention it is relatively near to some of Bolivia’s biggest tourist attraction such as Potosi, Uyuni and Santa Cruz. Also, Carlos has a climbing gym located on the roof of its house. 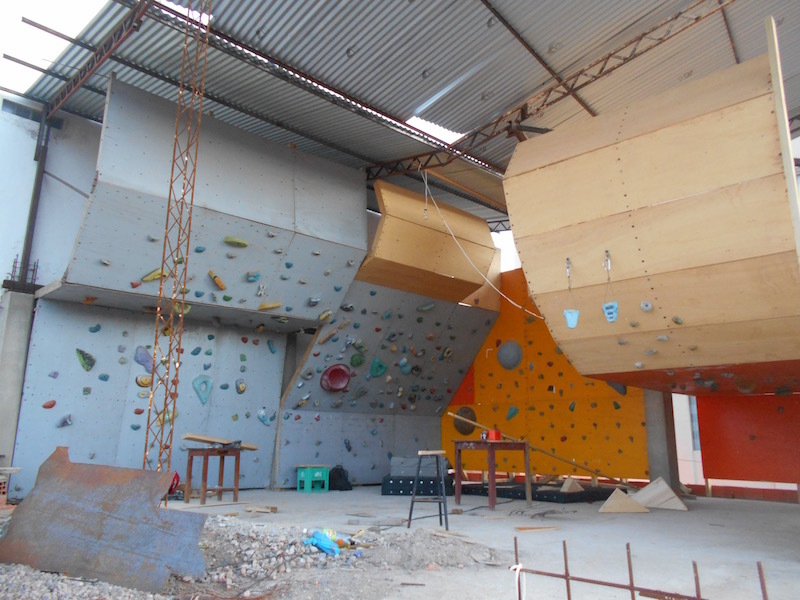 It is probably one of the best climbing gym in Bolivia. Carlos’ Gym. Not Bad Huh? For route beta, directions to the climbing, or if you want to train at the gym, contact Carlos on FB, or Whatsapp him at +591 77130781. His website can be found here. El Eden is Bolivia’s climbing destination that you’ve never heard about. 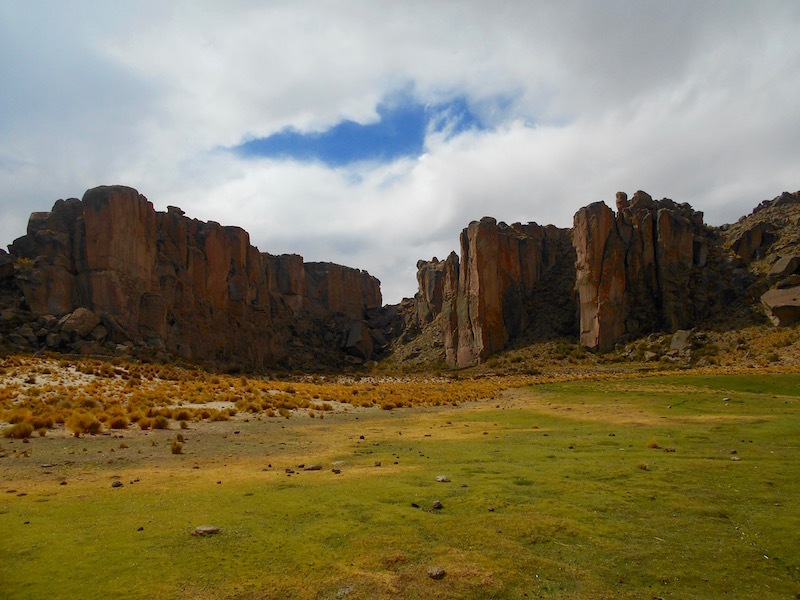 El Eden is without a doubt the best and most complete climbing area in Bolivia. It currently has about 100 routes, and a nice mix of boulders, sport and trad. El Eden is located on the highway between Potosi and Uyuni. Most tourists going through the country will pass by it, but it is very unknown and for that reason the area sees little traffic in terms of climbers. Here’s a video made by Chachas Films showing off some of what El Eden has to offer. The potential for development at El Eden is immense. There could be hundreds if not thousands of routes equipped here without breaking a sweat. If you had to go to one place in Bolivia to climb, this is it. The rock is volcanic and for the most part of very high quality. The cliffs seem to just shoot up out of the sands below. The scenery unique. 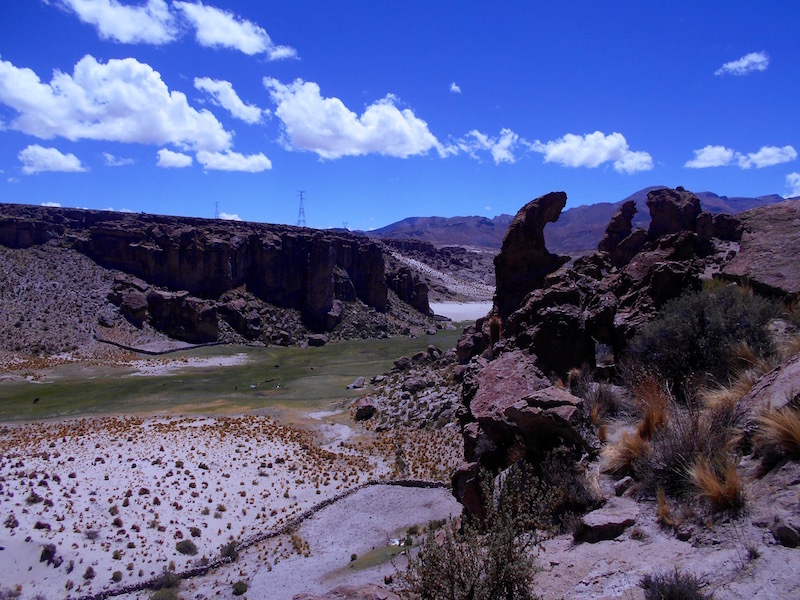 It is located in a desert high in the Andes (elevation around 4000m) and as the name suggest, it is an oasis which sustains just a bit of life (a few farmers and a lot of llamas). Though desolate, the landscape is stunningly beautiful. There is no topo available online, however if you contact Carlos Vargas, he will be able to help you get a copy. 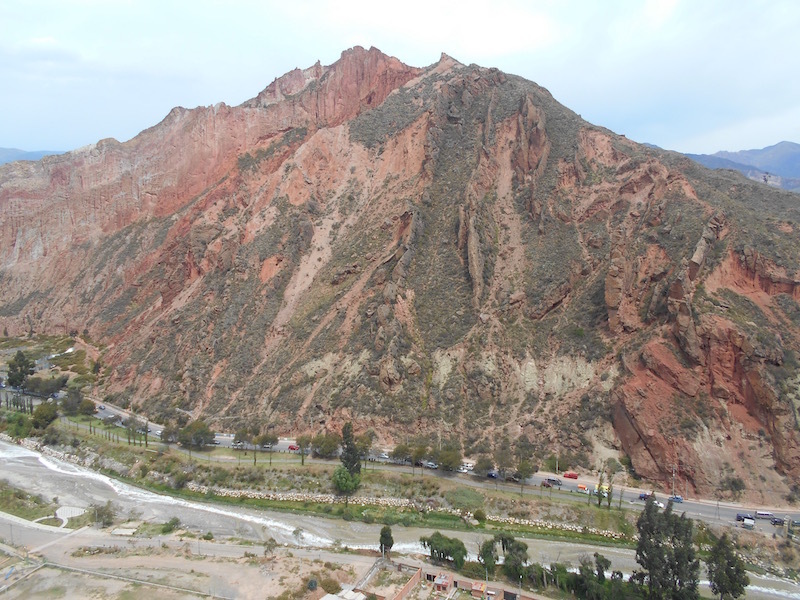 El Eden resides in the southern highlands of Bolivia, on highway RN 5 between Potosi and Uyuni. There are frequent daily buses between the two. The climbing is located immediately after the San Juan bridge. It will take you about 2 hours to arrive here from Potosi. Once you get off the bus, turn when you see the sign which reads “ETCIA Churata“, and walk down the dirt road for 5-10 minutes until you reach a small grouping of about 5 buildings. You have two options for accommodations. Camping or the Refugio. The Refugio is cozy, and has a few rooms with bunk beds. There is also a small kitchen which is equipped with basic pots and pans. There are no shops around El Eden, so you’re going to want to bring all of your food with you. There is running water available, however I highly suggest purifying the water before drinking it or bringing your own. As far as climbing gear goes, you will be ok with a 60m rope and about 14 quickdraws, however there are some routes which require a 70m, so be careful if it is your first time up the route. The majority of the climbs are sport routes. 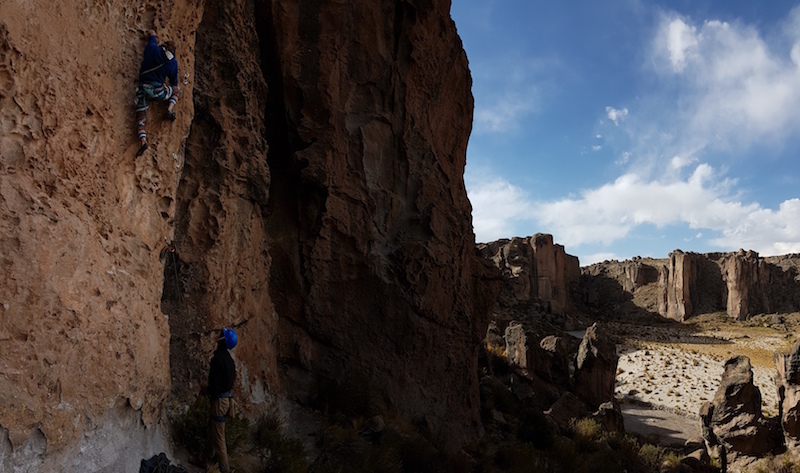 However, there are some very nice trad climbs here, so if you happen to have your cams with you this is the best spot in Bolivia for trad climbing. I go into more detail on the logistics of El Eden in: “Rock Climbing in the Andes, A Guide to 3 of South America’s Best Rocks“. As I said before, Bolivia isn’t a rock climbing “destination”. However, I was quite happy to spend a few weeks climbing here. If you only have the time for one spot, I would suggest checking out El Eden. What Bolivia potentially lacks in climbing, it makes up for in experience. 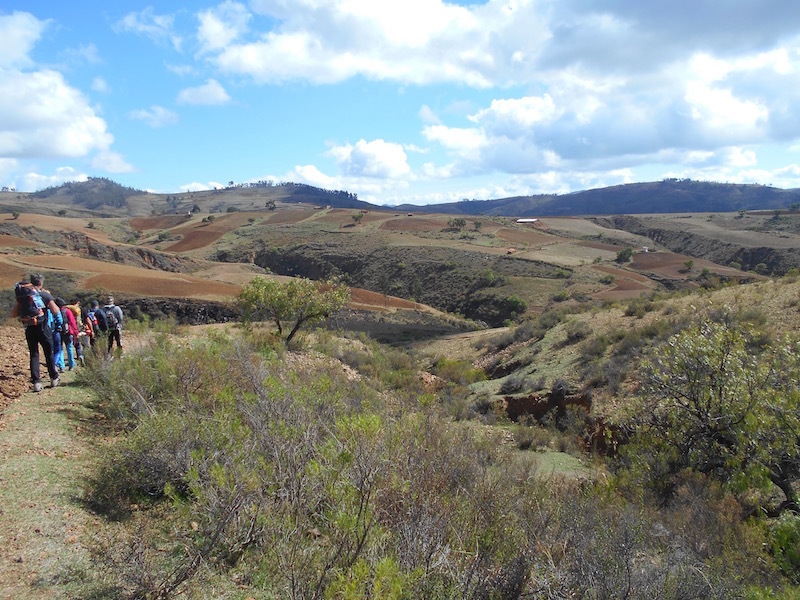 Bolivia is a little of of the way and for that reason sometimes tends to get skipped. But Bolivia is different than all the other Latin American countries, even its closest neighbor Peru. If you want an off the beaten path, cheap and adventurous travel destination, Bolivia is your spot. You’ll probably end up coming home with a few good stories like I did. For more reading see: “The Top Climbing Towns in South America” and “Top 3 Places to Climb in Chile”.